July 14, 2018 [Milwaukee, WI] – A group of Milwaukee performance artists descend tonight upon the annual Bastille Day’s crowd, promoting positive body awareness clad only in latex body paint, and generally embodying the spirit of the 17th century revolutionaries through their performances. Their message is delivered through historical re-enactments, clever costuming, and public rally cries to “storm the local Bastille” (Milwaukee Secure Detention Facility). Despite Minnesota and Wisconsin having similar crime rates, Wisconsin has consistently incarcerated people at twice the rate of Minnesota for decades. Our goals are to decarcerate Wisconsin and close the Milwaukee Secure Detention Facility. And the national goal of JustLeadershipUSA is to cut U.S. correctional population in half by 2030. Other states are successfully de-carcerating and reinvesting funds to build stronger healthier communities. States that have decreased prison populations are also seeing a decrease in crime rates. Most of Wisconsin’s Democratic candidates for governor are coming on board and recognizing this as a winning issue and calling for an end to policies and practices that drive mass supervision and mass incarceration. The forces and friends driving the Campaign to Close the Milwaukee Secure Detention Facility gathered last night at Hephatha Lutheran Church, Milwaukee, to mark their successes in the fight to close this sweat box unfit for humans. 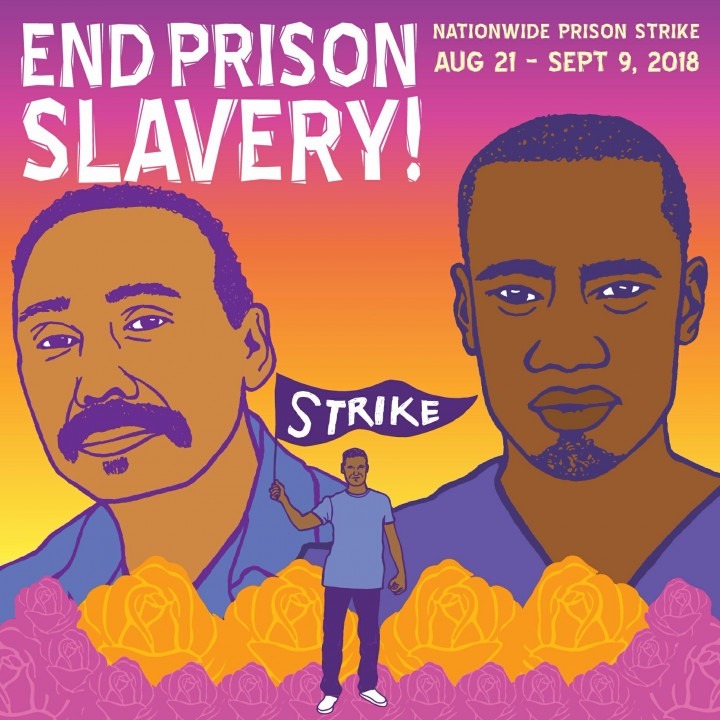 Prisoners across the country will refuse to work, effectively shutting down facilities and creating a direct-action crisis for prisons that depend upon forced labor of prisoners. Tuesday, Oct. 30, 10 a.m. State Capitol, Madison, Wis., and 6 p.m. in Milwaukee. More information to follow. 8 out of the 10 leading candidates for governor in Wisconsin endorsed the #CLOSEmsdf Campaign at a WISDOM Forum on June 11th. Visit http://www.wiseye.org/Video-Archive/Event-Detail/evhdid/12437 to watch the forum. The monthly #CLOSEmsdf Campaign Coalition meeting will be on Tuesday, June 19th at 6 pm at Suite 108 of the Welford Sanders Enterprise Center (2821 N. 4th St., Milwaukee, WI 53212). Visit https://www.facebook.com/events/2062639717084054/ to RSVP. The agenda will be sent out soon. Whether you recognize May 1st as “May Day,” “International Workers Day,“ or “A Day With Out Latinxs & Immigrants,” you’ll find revolutionary change at the heart of it. May 1st, 1886, is largely recognized for a nationwide strike called for by the Federation of Organized Trades and Labor Unions (the precursor to the American Federation of Labor) in their demand for an 8 hour work day. In this era it was not uncommon to have children of elementary school age working 10 to 16 hour days 7 days a week. 400,000 people took to the streets in Chicago on May Day alone. Get involved in CLOSE MSDF Campaign Launch Anniversary Event! Visit https://actionnetwork.org/events/closemsdf-campaign-launch-anniversary-event-get-involved to RSVP for this event. Join us in celebration of the progress we have made since the initial launch of the #CLOSEmsdf Campaign in June of 2017! Joining the event will be a distinguished panel of #CLOSEmsdf Campaign leaders to discuss the momentum that has been built while explaining the work that needs to be done in 2018 and beyond! 2018 will be a crucial year for the #CLOSEmsdf Campaign. We need your help guarantee that this year will be remembered as a year of historic change. Join us and get involved in the movement for justice and equity! #CLOSEmsdf Campaign Leader Ventae Parrow, who was recently detained at MSDF for nine months, understands that the people closest to the problem are closest to the solution. Ventae recently argued that it is time to shut down MSDF and build communities in a piece that he wrote for Milwaukee Neighborhood News Service. Click here to read the piece. 2018 is a going to be a crucial year for the #CLOSEmsdf Campaign. We need your help to ensure that this year will be remembered as a historic year for change. Join us at the next monthly #CLOSEmsdf Campaign meeting in Milwaukee on Tuesday, April 17th at 6 pm to get involved with the movement for equity and justice. Visit https://www.facebook.com/events/1934974013391756/ to RSVP and for information. If you do not live near Milwaukee but want to get involved, please contact Mark Rice at mark@justleadershipusa.org to learn about how you can help advance the campaign .